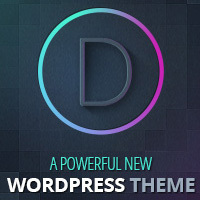 Lifestyle has become one of the most popular themes for WordPress. With its range of customizable options, clear design and smart layouts it’s easy to see why. The main selling point of Lifestyle is its magazine-style layout. This makes it perfect for large content sites that need to display a range of content on the homepage. Lifestyle, like all StudioPress themes, is built on the Genesis framework. There are a number of advantages to using a framework, but the main one is that the underlying code is standardized across all StudioPress products. The framework is far more robust, well developed and versatile than independently created themes. Features of the Genesis framework include one click upgrades and strong security. When you use a StudioPress theme it’s easy to stay up to date and secure. Genesis is also search engine optimized, and support is provided by StudioPress in their help section and forum. An advantage of choosing a StudioPress theme over other options is that the framework includes “Unlimited Everything.” That means you can use the theme on as many websites as you want, receive all updates and unlimited support for a single price. You don’t need to worry about choosing a Developer option or paying extra for multiple licenses. Lifestyle is a versatile theme but the stock design lacks interesting imagery. Its popularity also means that many WordPress sites end up looking exactly the same. This is why a combination of Lifestyle and ThemeMask can be so effective if you want your site to stand out. ThemeMask lets you “mask” the design of an existing theme, such as Lifestyle, with new imagery in the header, footer and background. Each mask is packed with eye catching images that transform Lifestyle without affecting the theme’s underlying functions. Be amazed at how ThemeMask transforms the Lifestyle theme below! Masks are compatible with the Genesis framework, so you don’t lose any functionality or SEO optimization. They can also be added or switched at any time. If you love the versatility of Lifestyle but would like a new and exciting design, then ThemeMask could be the perfect option. You can get six unique masks for Lifestyle for just $19.90.